I know we are in the thick of sweater weather but I have to throw in some options. I love a feminine tie neck blouse in the winter because it's great for layering. And when you are going from cold outside, to an overheated office, and then a cold conference room, you need options. Here are some of my favorite tie neck tops. This to top is so sophisticated. 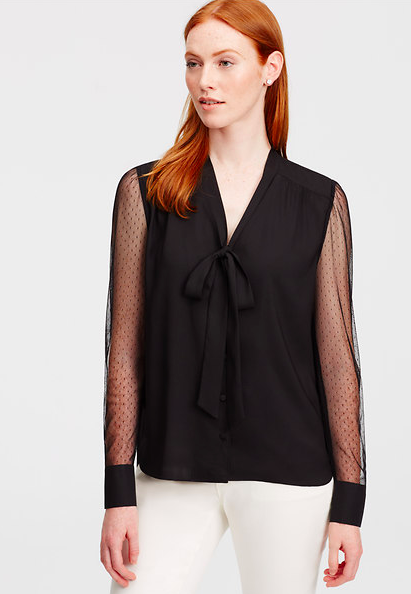 The pin dots on the sheer sleeves make this top look much more expensive than it is. I am pairing this with a navy blazer that is extra long. Very chic. This will be a staple in your closet. Jeans, pencil skirt, suit, you name it. 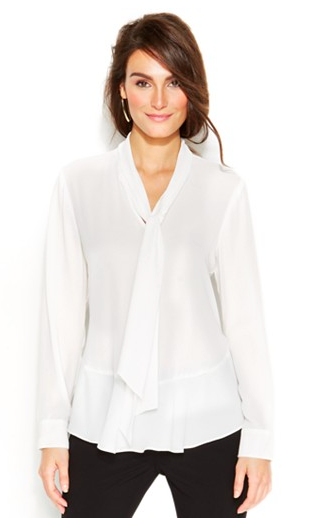 Check out the peplum detail on the waist. 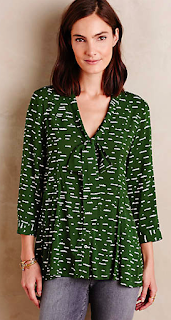 I really love this swing hem. 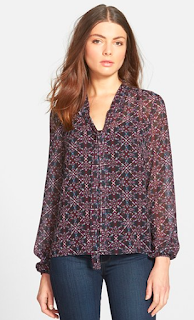 It's more casual than you standard button down but this rich color makes it easy to dress up. The tie neck blouse was inspired by menswear but these wispy tops are anything but. Play with pattern, color, and fit to find the perfect option for you.